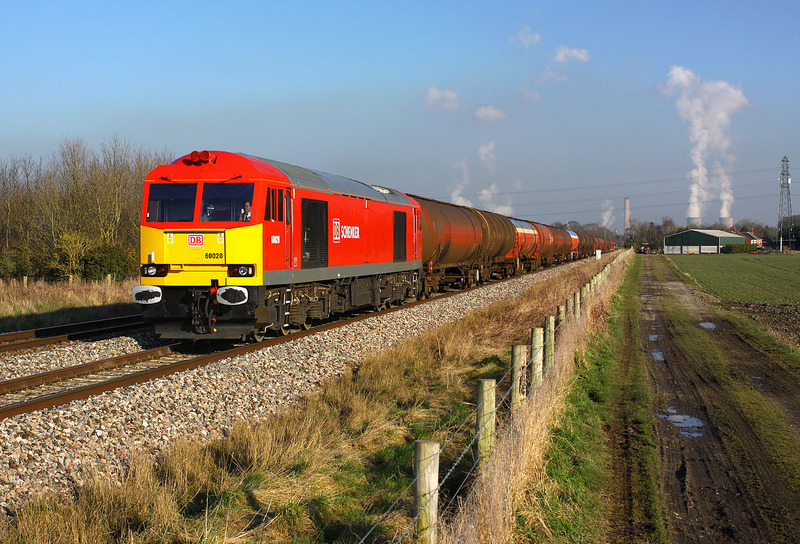 60020 passes Steventon with the 6B33 13:00 Theale to Robeston Murco oil empties on 19 February 2013. This was running 38 minutes late due to earlier problems with Causeway Level Crossing, which is situated just past the trees near the barn in the background. This is 60020's first appearance on the Theale tanks since its repaint into DBS 'dayglo' red.